I have to admit, I thought the original Lego Movie was only okay. I really liked how it brought together so many different characters and how it utilised its Lego foundations, but I didn’t take to the main characters all that much. 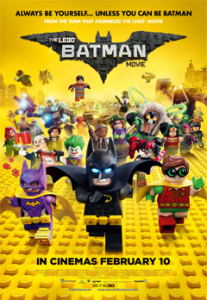 However, I’ve been really looking forward to The Lego Batman Movie for a while, both for the really great comedy which was on display in the trailers, and – as with the first movie – the mass of characters it was going to use. Plus I love Batman, and a new story built around this more satiric version of him, and the Gotham City he inhabits, looked like it would be worth watching. As it turned out, I wasn’t disappointed.